Currently I'm . . . Cooking some very standard comfort dinners for the most part because our Blue Apron delivery comes in tomorrow, and those meals will be much less ordinary. Creating by testing out some chalk paint on tin cans, cutting out tin from old containers, playing in my art journal - basically, getting my hands messy any way I can. 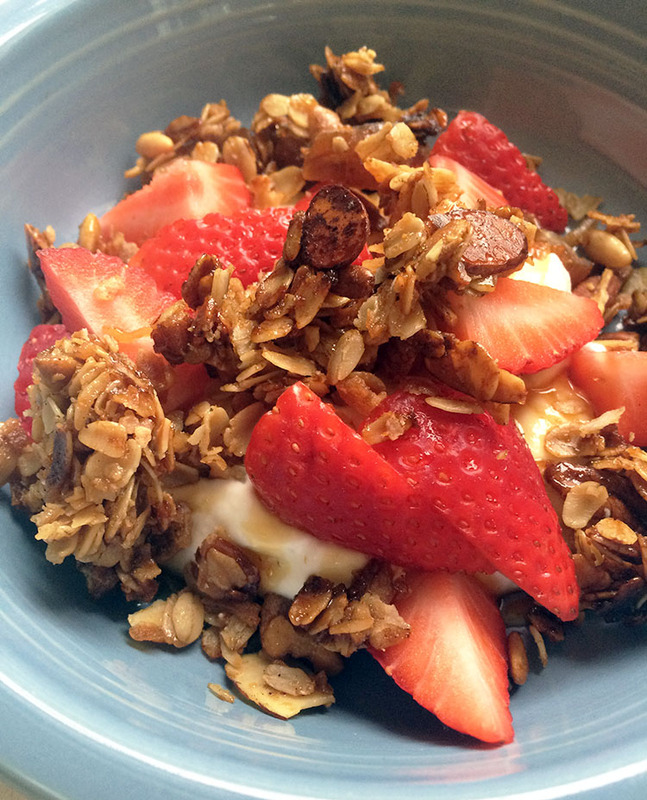 Eating a healthy-ish breakfast of plain greek yogurt, berries, honey, and homemade granola. 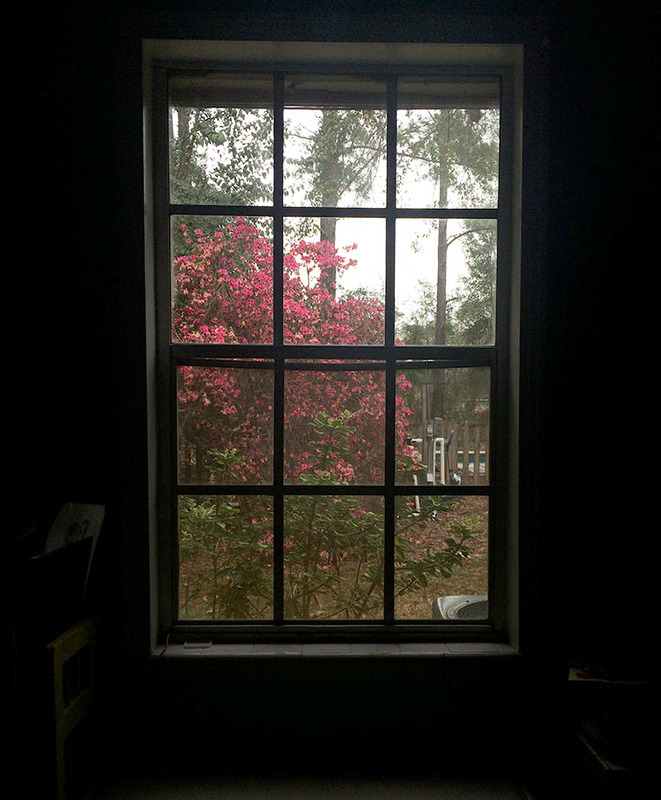 Enjoying the pop of color in the azaleas outside my window (though they are withering some). Feeling a little stopped up from the result of allergies because the azaleas have decided to bloom. Hoping to get to the bead store today to finish my shopping for the Bead Peeps Swap N Hop. 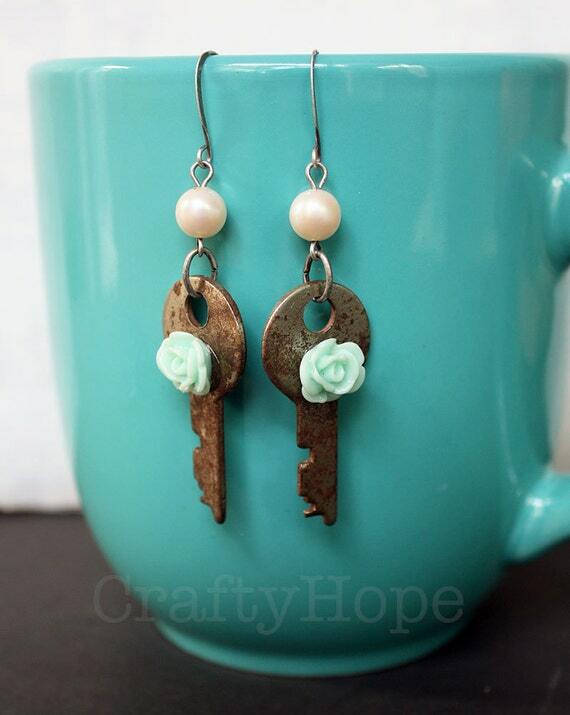 Listing these Flower and Rusty Key earrings in the CraftyHope Etsy shop. Looking forward to seeing my oldest niece march with her high school marching band in the Crewe of Columbus Mardi Gras parade tomorrow night. Loving the progress on my kitchen. Needing to put some effort into exercising. Reading Alice I have Been. I JUST started it so I don't have much to say about it yet. Sewing nothing at the moment, but I’m ready to get started on some projects like curtains and placemats for the living and dining rooms. 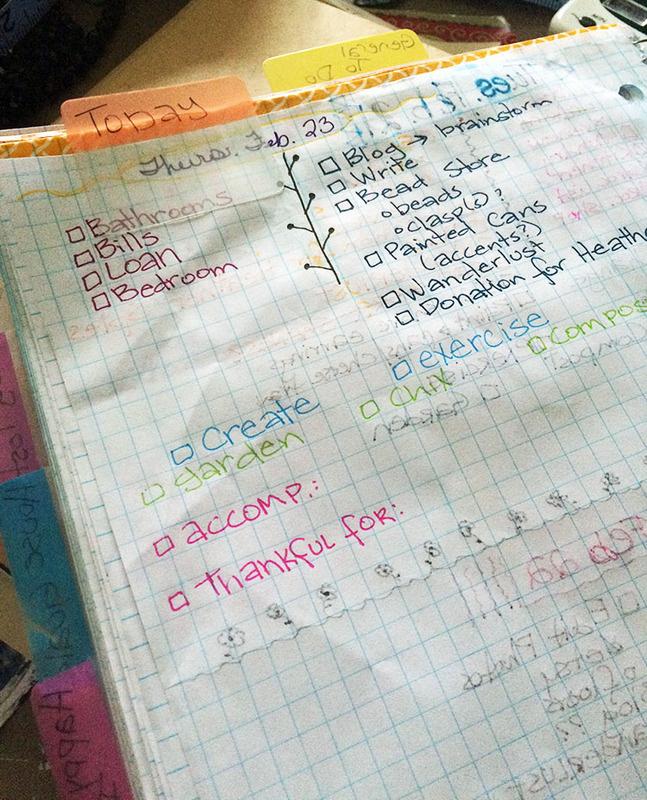 Wanting to check off all the tasks on my bullet journal today (but I know that’s probably wishful thinking). I guess it’s time to be done so I can get to it. So, what are you up to? Dang. I should be doing that too. Good luck!! You inspire me, Hope! You keep chipping away at everything and it is fun to see your progress ~ I have wanted to cut tin for a while now and bought supplies, cut three pieces and put it down. That was two years ago, so I am going to revisit that. I also want to revisit my own blog! Your place looks bright, spacious, and happy! I always love your "currently I'm..." posts!! It is such a great way to just get a blog post done, eh??? I am shocked that I actually pumped out 3 posts this month! Maybe it's a sign for 2017. But I will definitely borrow this idea one of these days coming up! Love those flower/key earrings. And your breakfast looks divine! This is a great idea to let everyone know what's up in your world. Your Azaleas have bloomed and are wilting already! I'm just a little over 200 miles north of you and my are just budding. The bead store you were talking about is that the one in Gulf Shores? My friend Crystie and I are talking about taking a trip down to that bead store maybe sometime in March. So many wonderful things! How exciting to have your azaleas in bloom. We are still a couple of months away from that. We have a few ancient azaleas that did not flower much last year. After some fall pruning I am hoping for more flowers this year! Your yogurt, berries and granola look delicious. Right up my alley! 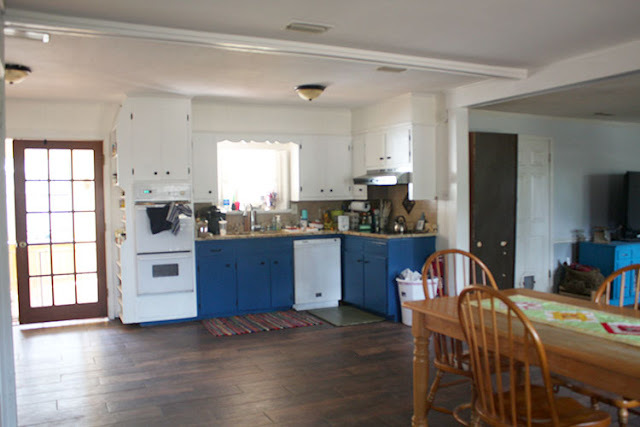 The kitchen looks great with the shade of blue you chose to go with the white. Great use of those rusty keys contrasting them with femininity. I just love these posts! Great way to see what you are up to.